Funny Signs. 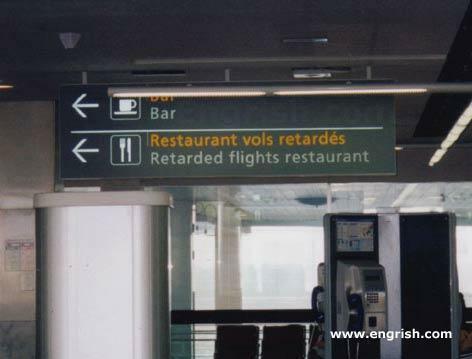 I wonder where the non-retarded flights are supposed to eat. (This is a real sign from a foreign country that just had a very bad English translation.). Wallpaper and background images in the Picks club tagged: engrish funny signs engrish.com bad english translations foreign signs funny.